BACK IN SINGAPORE Holla! I'm back to blogging after a nine day eight nights trip out of Singapore - feels like I'm back in my sanctuary. Throughout the past week I have been really active on my Instagram account (@justjaslin), posting pictures as we moved throughout Northern Territory Australia. I hope I'm still keeping good contact and updates with you guys. We have just touched down yesterday night, and as reality kicks back in, there I am running for classes early this morning (6 a.m. in the morning thank goodness!). Therefore right now I'm still feeling a little bit of the jet lag after catching a total of 6 flights during the past week. I brought my laptop with me throughout the trip with the intent to do my updates on the go, but our itinerary got so jam-packed with all the exciting highlights that I succumbed to sleep every night. Honestly it was insane - we actually had quite a good amount of time to rest on certain days but you know travelling with a group of bloggers we are always up extra early to fully utilize our time while we were there. That means waking up at six in the morning for shopping (I kid you not). Talking about shopping, I want to introduce you girls to this online fashion store called Glamouz. I have always been crazy about shopping online - it not only provides me huge time savings and convenience, it also keeps me updated with the latest trends and such. Their website is all about trendy styles and runway inspired collections that are all a very refreshing palette in my opinion. 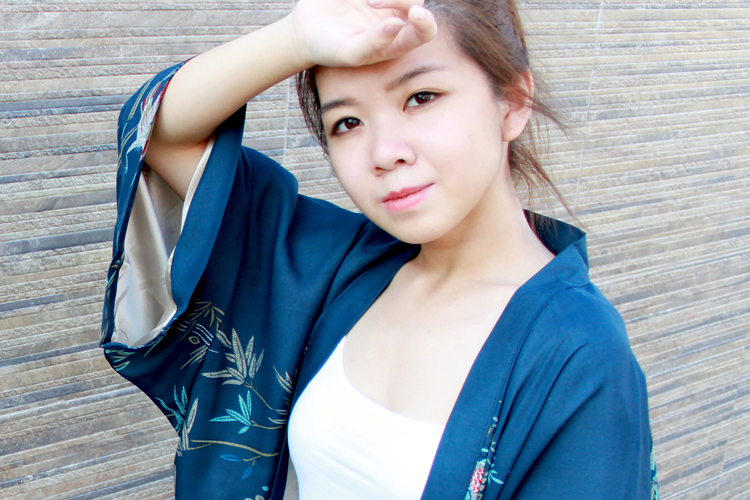 As you can see, today I'm wearing this kimono inspired outerwear that comes with a touch of European flair to the design. It's like a fusion of Eastern and Western style that I think it's very interesting to work with. 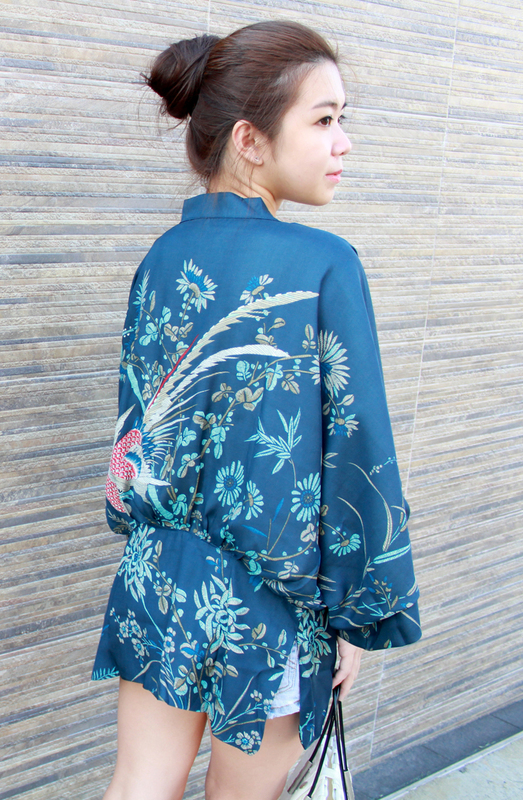 It's very light to wear (pre-requisite to survive the 35°C everyday) and the traditional prints on the silk smooth fabric resembles that of an embroidery art work. Very exquisite. Anyway, great news is that now they are shipping their products internationally to Malaysia, Brunei, Australia and the United States, if you would like to check out their website you can click here directly to go to www.glamouz.com!